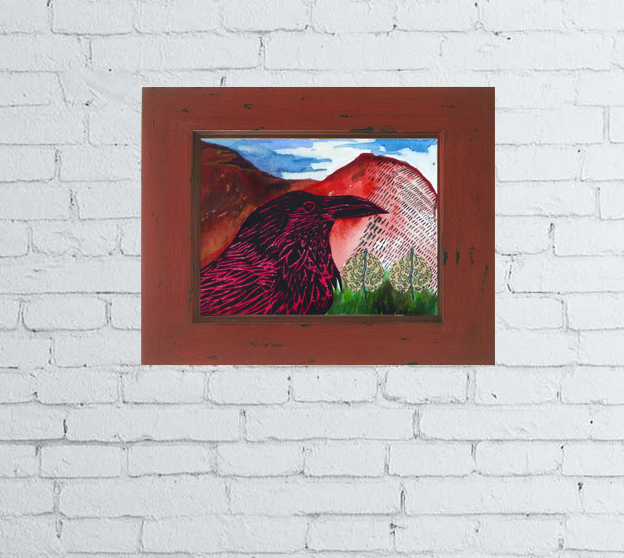 Day two of the 30 day watercolor collage challenge is a Raven. You may remember the linocut raven from the 30 day linocut challenge in January. 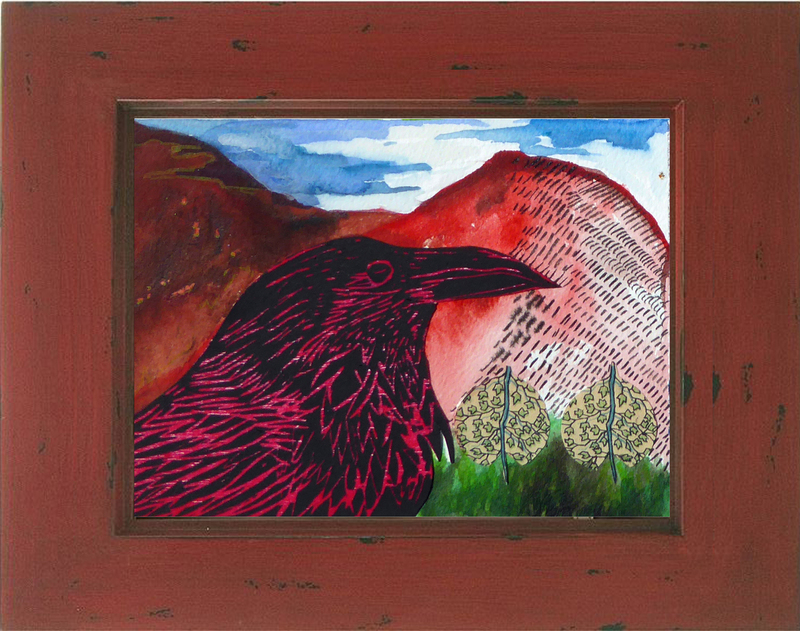 This is the same raven, cut out and collaged onto 300 pound arches watercolor paper. I then used watercolor to create the landscape and added two “bushes” by collaging hand cut antique Italian paper. There is a lot of great detail. Here is the deal. There is one artwork a day. 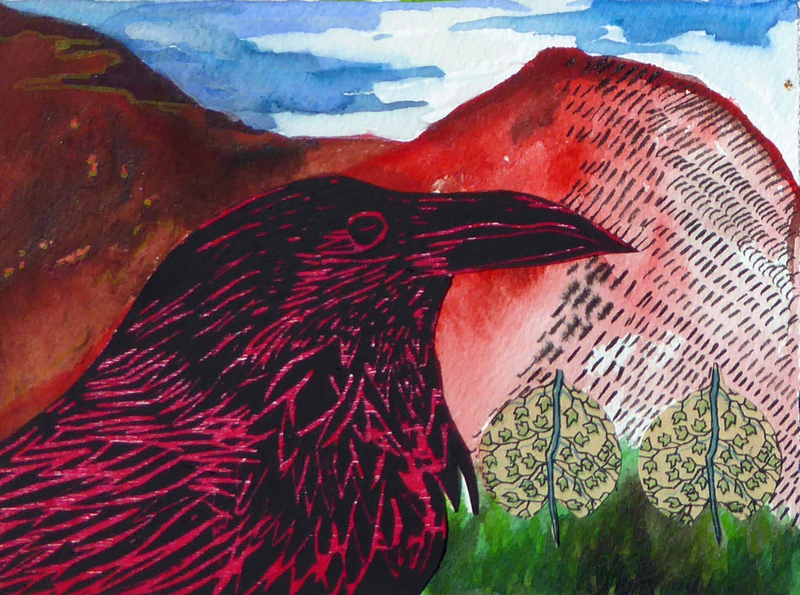 Each watercolor is 5″ x 7.” It is a combination of watercolor drawing, collaged linocut and/or antique italian cut paper. Each one is handmade and unique, there is no edition. There is only one available. Sounds expensive? Nope, I want to make this available for only $47 and it will stay that way for all 30 pieces. The expensive ones will be in my Fall Solo Exhibition in New York. For the month of July each night at 6pm EST a unique new drawing will be available.You can purchase it on Etsy where there are full details. Frame not included. I had a blast making this raven. Right now they are everywhere around me. I love watching them soar through the sky over the studio and into the mountains. Hey Hilary.. I luv this challenge its just perfect.. Luv your decision to use water color and lino cut..